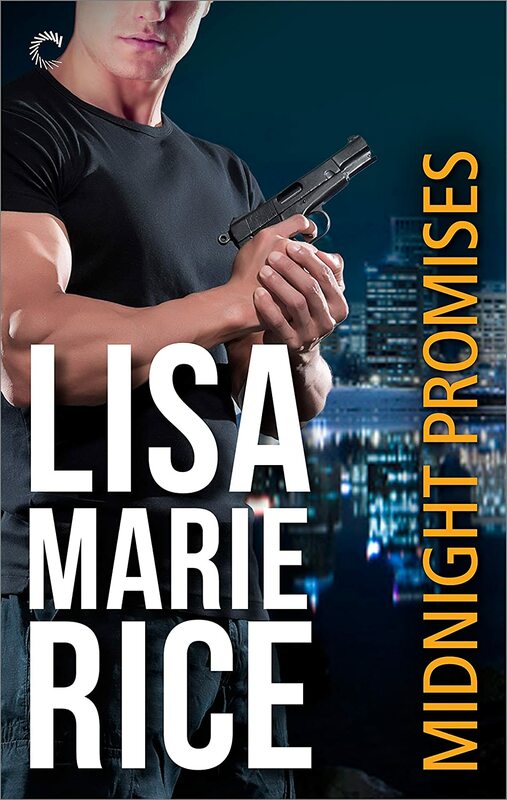 MIDNIGHT PROMISES came out on January 19, 2015 and it is the fifth book in the Midnight series. Basically, the Midnight series is, yes, a series of romantic suspense novels set in the same world, the world of Alpha Security International, the security company founded by John Huntington. But the books are also about the formation of a group of people who form a united team, men and women who are friends and who become like family to each other. When you find that one person you want to spend the rest of your life with, you have found your place in the world. Felicity Ward and Sean 'Metal' O'Brien are successful by any measure. They are smart, good at their jobs, dedicated to their work. But Felicity needs Metal and Metal needs Felicity. They complete each other, they make each other whole and once they have found each other, they have found home. Of course, before that happens a lot of water has to flow under the bridge and a lot of bullets have to fly!!! Friday you will be reading about Shannon Mckenna's new book, IN FOR THE KILL. It's an amazing book! Felicity didn’t dare look around, see where he was. All she could do was run. She took off, dragging her carryon and realized instantly it would slow her down in the crowd. She abandoned it. She had the only thing she really needed in her backpack—her specially designed laptop, worth over $50,000 and now worth her life. She barreled forward, pushing and tripping people, leaving as much confusion behind as possible. Ten feet away was a pillar. Scrambling behind it, she looked back. It was a risk, but she had to know what the situation was like behind her and she had to know what her assailant looked like. She’d left chaos in her wake, colorful watches and sunglasses littering the floor, several women kneeling on the floor, a couple of college-age students picking up watches with a smile, a couple of crying kids and…there he was! Medium height, dirty blond hair barely visible beneath a wide brimmed hat, well built, well dressed, cold flat eyes. And—yes—he was holding something in his right hand that was dripping blood. Her blood. He put the knife away almost immediately. She was dripping, too. She put a hand to her side and it came away wet and red. It was a serious wound. It was fiercely painful and impeded movement. She had to do something quick. Another slash like that and she wouldn’t survive this. Well, she’d lived with danger close all her life and was built for this. A fully formed plan had consolidated in her mind and it gave her strength. Ducking and weaving, using every inch of cover available, she headed straight for the bathrooms on the other side of the huge concourse. Something on the floor caught her eye. She looked down and froze. Bright red drops. A blood trail, a huge arrow that would lead him straight to her once order was established. Whoever this man was, he would be more than capable of following a blood trail. Oh, this sounds like an awesome series! Thank you for sharing.